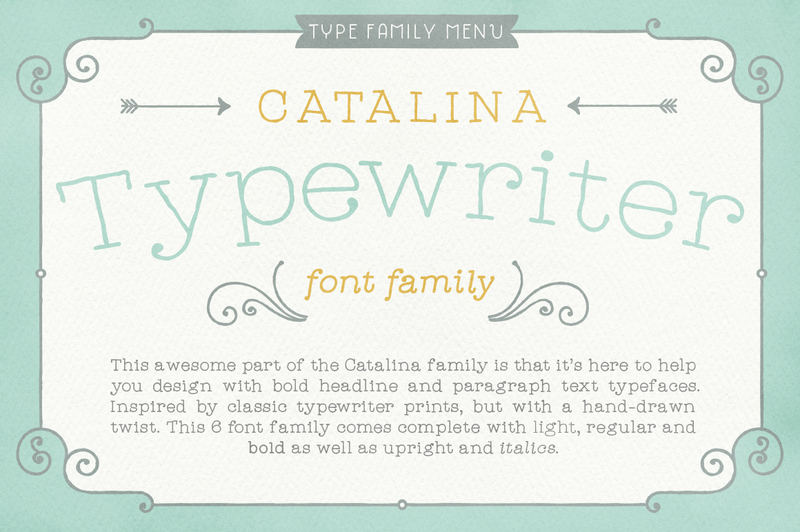 Catalina Typewriter is a typewriting lookalike font family created and published by Kimmy Design, a graphic, letterer and typographic design agency from Santa Monica, California (USA). Hand-drawn menus, table cards, chalkboards, and wall quotes around Newport Beach inspired this font creator to design Catalina Typewriter, a font that works great as display type and even paragraph text. Very nice indeed! A font description published on Saturday, May 30th, 2015 in Fonts, Kimmy Design, Kimmy Kirkwood by Andrei that has 3,462 views.